I just finished watching this week's Lost. It was so sad! Sawyer is so heartbroken. okay silly question...who is the first couple. The last couple could be your twins for sure! Darling, you look fantastic but the picture with you and Dave does NOT do you justice. 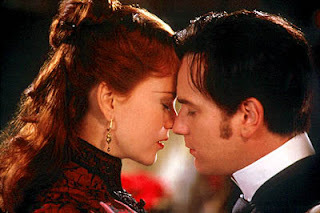 Oh Moulin Rouge.. great couples! Mae Rae, they are (were) a couple on the HIT tv show LOST!